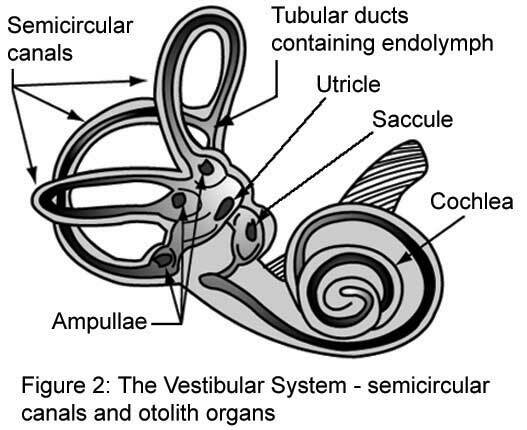 Vestibular Rehabilitation Exercise are designed to promote central nervous system compensation for inner ear deficits. Vestibular Rehabilitation Therapy (VRT) can help with a variety of vestibular problems, including benign paroxysmal positional vertigo (BPPV) and the unilateral or bilateral vestibular hypofunction (reduced inner ear function on one or both sides) associated with Meniere's disease, labyrinthitis, and vestibular neuritis. When the vestibular organs are damaged with disease or injury, the brain can no longer rely on them for accurate information about equilibrium and motion, often resulting in dizziness, vertigo, balance problems, and other symptoms. Many feople are able to recover from these symptoms on their own after a few weeks of normal activity because the brain has adapted with a process called vestibular compensation. However, if the vestibular compensation process is not successful, a person's ability to maintain posture and coordinate balance may become overly dependent on input from the eyes (vision) and muscles and joints (proprioception). ln addition, the person may develop new patterns of head and body movement in an attempt to avoid dizziness and nausea. For example, a person with a vestibular disorder might adopt an exaggerated hip sway as a method of balancing, swivel the entire body rather than just the head when turning to look at something, or always look down at the floor to avoid what appears to be a confusing swirl of activity. Unfortunately, these strategies can make vestibular compensation even more difficult worsening symptoms and often causing headache, muscle tension, and fatigue. The goal of VRT and Vestibular Rehabilitation Exercise is to retrain the brain to recognize and process signals from the vestibular system in coordination with vision and proprioception. This often involves de-sensitizing the balance system to movements that provoke symptoms. Changes in central connections to compensate for peripheral disturbances. Unfortunately, there appear to be limits on how much the brain can compensate. Although conventional wisdom holds that older persons adapt less well than younger, a recent study suggests that there is no difference in benefit of vestibular rehabilitation according to age (Wriseley et al,2002) . A cognitive process where one learns what to expect from ones actions. lnternal models are critical for predictive motor control, which is essential when one is controlling systems that have delays. Another cognitive process involved with learning what is safe and what is not. Someone who does not know their limits may be overly cautious and avoid dangerous situations. Someone who does not realize that, for example, they can't figure out which way is up, may drown in a swimming Pool. A cognitive process in which one of several redundant senses is selected and favored over another. Classically, selection occurs between vision, vestibular and somatosensation inputs when one is attempting to balance. People with unreliable vestibular systems, such as those in Meniere's disease, sometimes seem to unable to switch off their visual reliance, causing them distress in certain situations where vision is an incorrect reflection of body movement (i'e. in the movies). (Lacour et al, '1997). These are a group of activities that progress from simple head movement to complex activities such as throwing a ball. The major advantage of the Cawthorne Cooksey exercises is that they are very low cost and often effective. When combined with an accurate diagnosis and use of BPPV maneuvers instead of these exercises, if appropriate, this approach is can be very effective. This is an exercise especially appropriate for persons with bilateral vestibular loss as well as being a reasonable procedure for persons with unilateral vestibular disturbances such as vestibular neuritis or persons who have had tumors of the 8th nerve removed. This exercise should be "progressed" to a more difficult one as it is mastered.The exercise include focusing on one object and then turning head from side to side at 45 degree. The rationale is to reduce "visual dependency", which is an inappropriate reliance on visual input, in situations where it might be better to use somatosensory or vestibular inputs. Following the same train of thought as the visual dependency exercises, perhaps it might be of benefit for someone to practice maintaining their balance in situations where somatosensory (ankle and pressure) input is either reliable or just not there. Somatosensory input can be distorted using tilt-boards, rails, slabs of foam, or just by walking on the beach. Forcing someone to do this might encourage them to re calibrate and rely to a greater extent on their vestibular or visual sensory inputs. Bouncing on Swiss balls or mini-tramps may be advocated to build up the otolith-ocular reflex as well as otolith-postural reflexes. Patients may be urged to track objects that are moving in counter phase to their heads, generally moved by themselves. This procedure might encourage patients to use both visual tracking and vestibular stabilization in tandem.